Categorizing similar services helps your online booking page stay organized. Furthermore, it helps your customer narrow down their choice of service easily and without hassle. 1. Tap the pink (+) wheel on your main screen, then select + Service Category. 2. Add a service name and tap the Next button in the top-right. 3. Tap to select which services you want to add to the category, then tap Next. 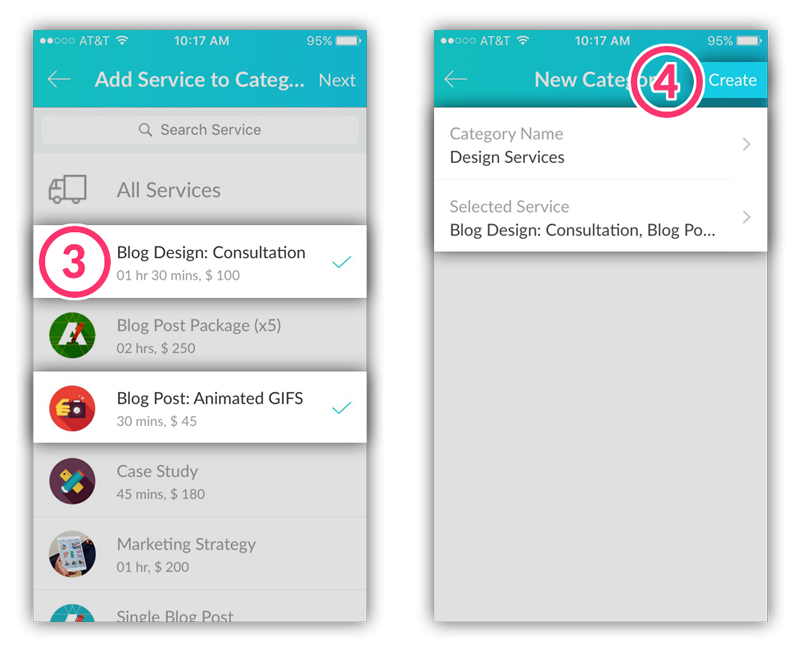 4. Review and confirm the service category details, then tap Create. In the Account menu, tap the option for Category. Tap to select which service you want to modify. To modify the category title, tap the Category Name field. 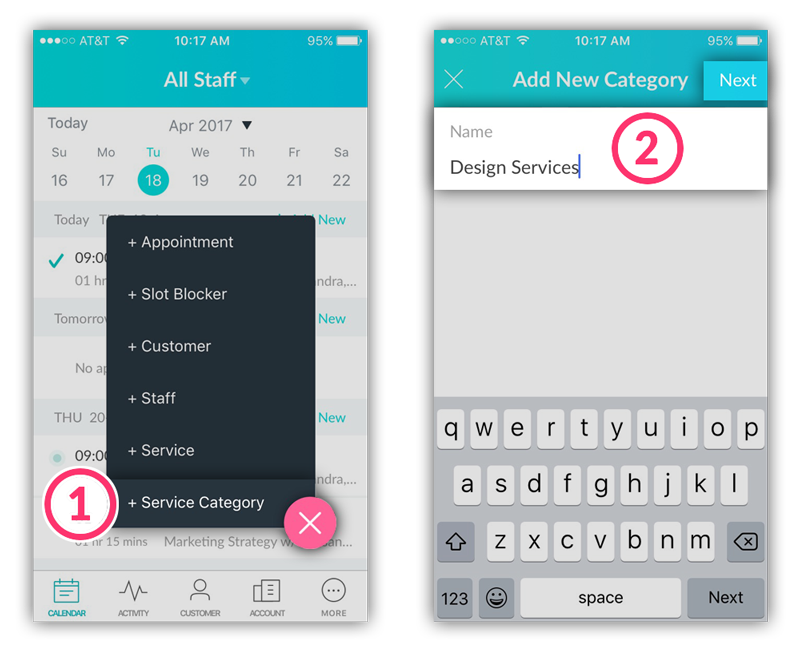 To modify the services included in the category, tap the Selected Service field. When you're finished, tap Save in the top-right corner. To delete a service category, tap the three dots (...) in the top-right corner and tap Delete Service Category. Note: Deleting a category does not delete the services grouped under it.